Maggies’ Centres are a charity dedicated to offering advice and palliative care to people affected by cancer. 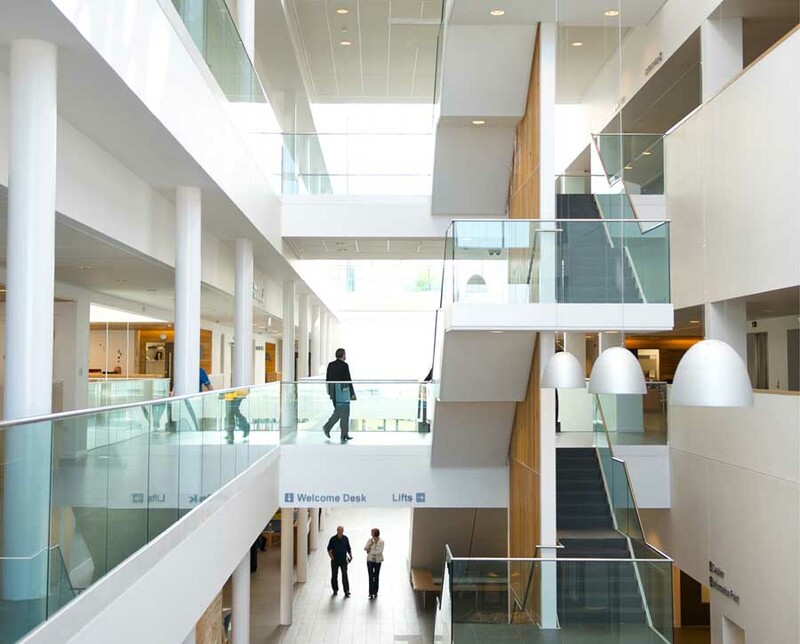 They eschew anything ‘institutional’ and instead they advocate light, bright, cheerful linking spaces with views out to gardens and greenery. As well as providing support through counselling (which requires control of privacy) the centres also have a welcoming kitchen able to demonstrate cooking and dietary advice, a comfortable, warm Sitting Room and a larger Relaxation Room for exercising and listening to music or for larger meetings or group discussions. The Glasgow centre was provided by funnds raised by the charity as well as grants from the Heritage Lottery Fund and Historic Scotland. 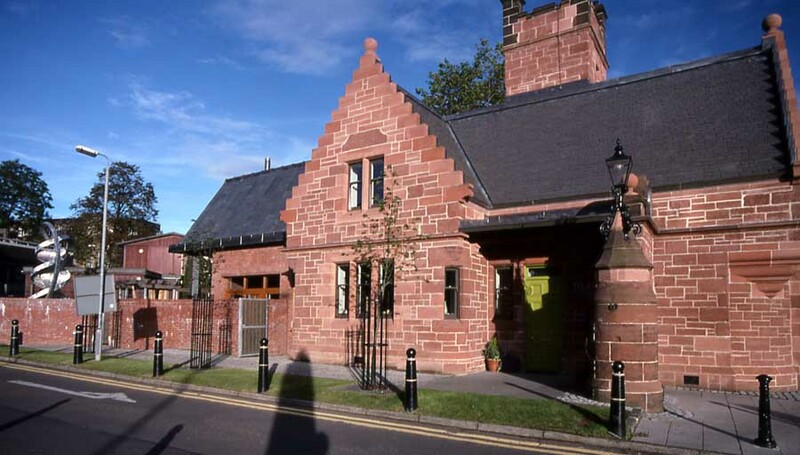 The new Maggie’s Centre in Glasgow is housed within a formerly derelict Category B- Listed Victorian Gate Lodge. Designed in a ‘Baronial’ style in 1861 by John Burnet, the lodge is in a conspicuous location on Dumbarton Road close to Kelvingrove Park. 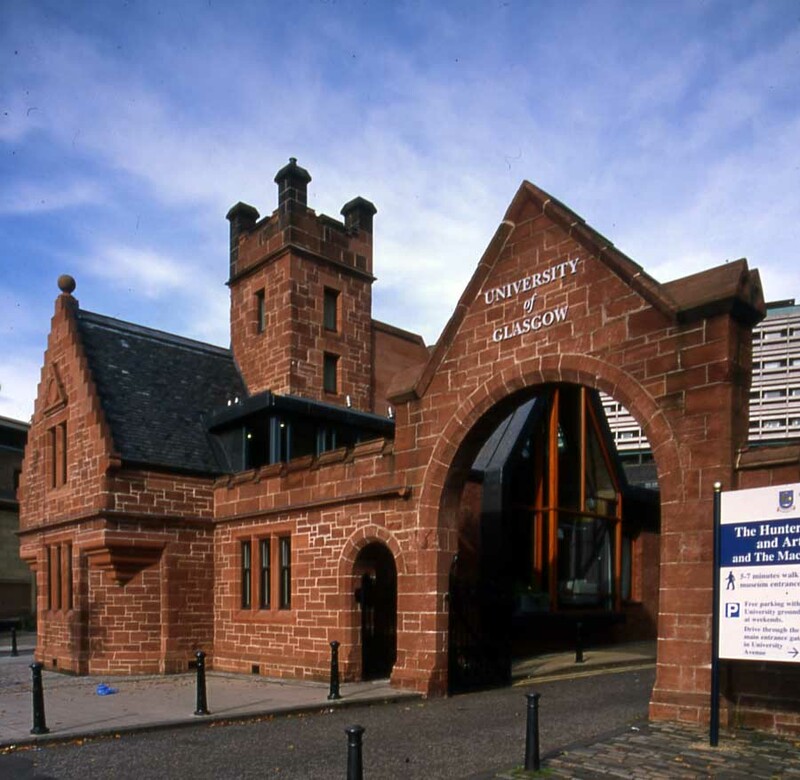 The original building was deceptive in appearance since what appeared to be a single house with a square, castellated tower and steeply- sloping crow- stepped gables was in fact designed as a pair of lodges for the Western Infirmary and the University of Glasgow. Much of the external stonework detailing had been heavily eroded or removed and subsequently rendered- over, the windows and doors were boarded- up whilst the interior was in an extremely poor condition due to dry rot. However, the gate lodge had remained a very well- known landmark, very convenient for public transport connections and communication with the nearby hospitals. 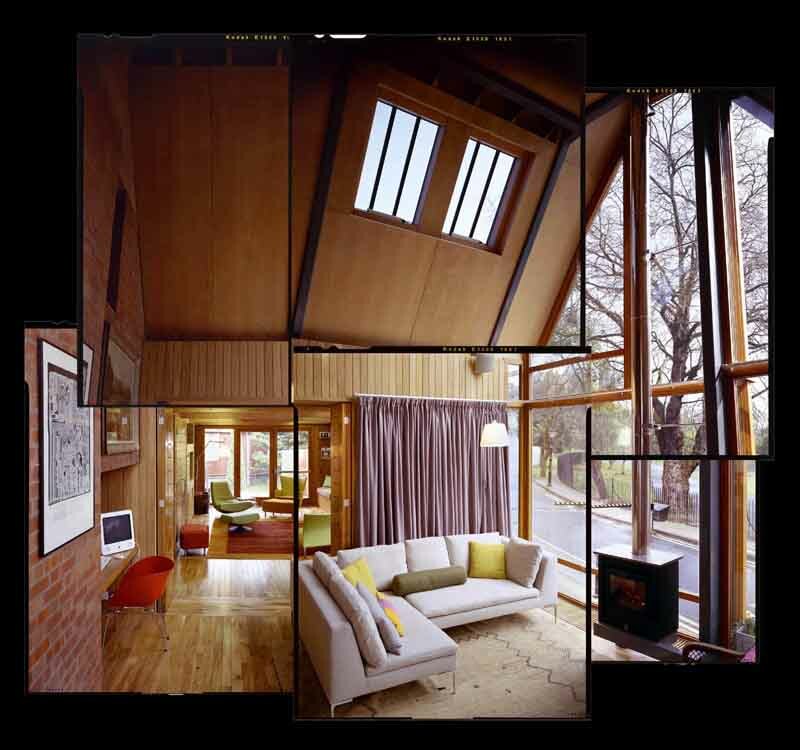 Especially important from the Maggie’s Centre point of view was the setting of the building against the backdrop of Kelvingrove Park, Gilmorehill and Kelvingrove Art Gallery. 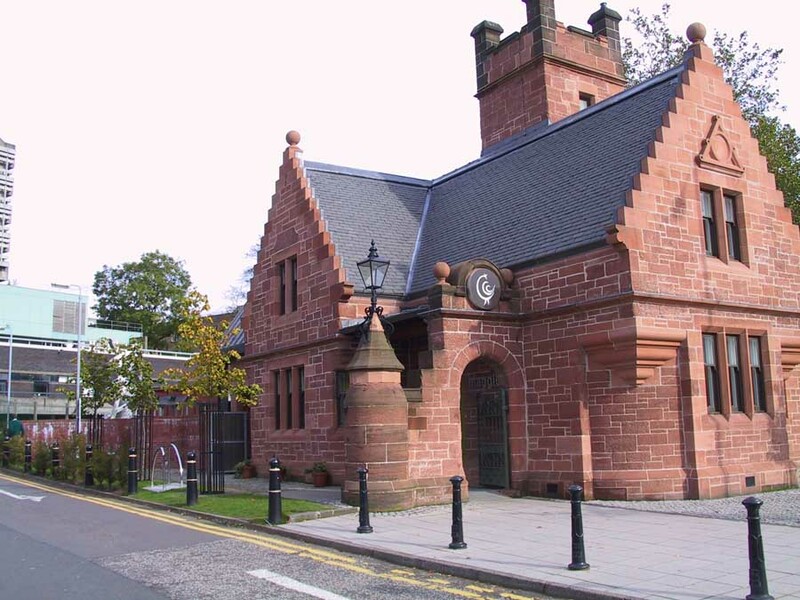 The exterior red sandstone walls and blue/ grey slate roofs of the L- shaped lodge towards the hospital side, including the main facade towards Dumbarton Road (which extends to form an arched gate to the University) were retained and restored as the public face and entrance. 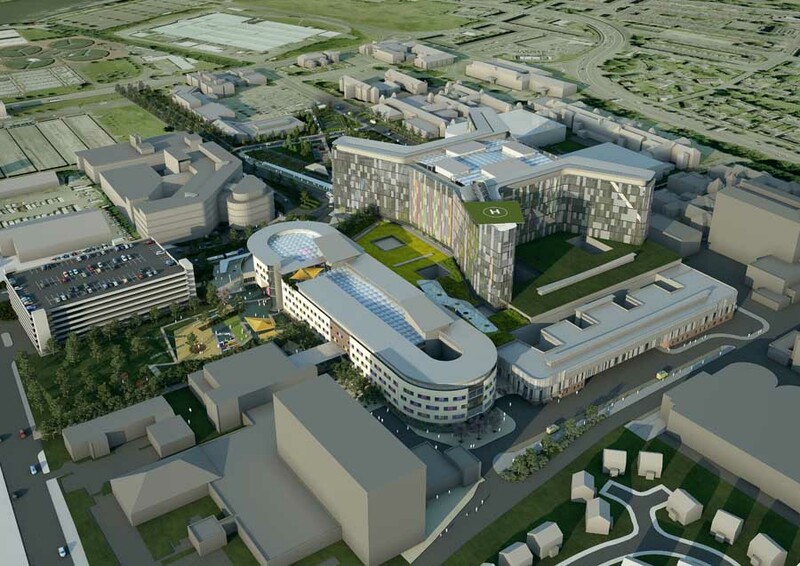 The less- visible and relatively poorer- condition University side was demolished to create a narrow site for a new extension addressing the park. Interlocking with the ‘older’ part of the building the new extension is an L- shape plan also but the external materials are differentiated using red brick walls and a lead roof. The interior of the central Tower, which originally contained a narrow winding stair, was completely opened up and relined in white- painted plaster with a rooflight formed at the top in order to funnel light down into the heart of the building, in particular just inside the entrance. The tower acts as a fulcrum of the organisation of the spiralling plan and levels with a new slate stair now wrapped round the outside of the exposed stonework. Although the original rooflines have been retained, the volume of the building has been maximised by the use of new steel portal frames. The ground floor is split in level, partly raised by half a storey to obtain both privacy and an enhanced outlook through a tall window to the park. Overlooking the sitting room and within earshot of the entrance, the staff workstations are located on an open oak-slatted gallery. Although previously dark and compartmentalised, light now enters the building from a multitude of directions through old and new windows. The spaces are capable of being opened as one or closed over with fine oak sliding or folding doors according to requirements. Outward views of the River Kelvin valley, the Art Gallery and the University tower are framed through large timber screens. Following the ethos of the brief, the indoor spaces strongly relate to outdoor spaces, for example a cabin- like counselling room opens onto a small patio planted with bamboo; the staircase landing gives access to a roof terrace tucked behind the front facade parapet. The Relaxation Room leads to a timber deck and, beyond, to an enclosed garden shaped by Charles Jencks where the spiral organisation of the building finds an echo in the spiralling grass mounds and sculpture. Half of the visitors simply drop by for conversation and information. 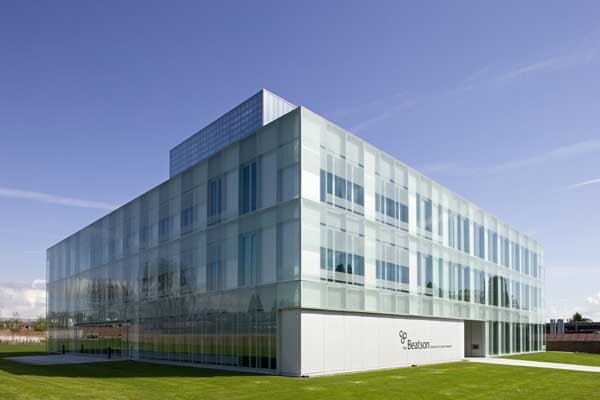 Its success is such that an ambitious building programme is currently under way, with various big-name architects designing ten centres around the country – Frank Gehry in Dundee, Daniel Libeskind in Cambridge, Page and Park in Glasgow and Inverness, Zaha Hadid in Kirkcaldy.